Why is it so hard to make priorities in development? British trains used to ‘slam doors’, metal slabs that swung outward, a latch on the outside. If the train was pulling into a station, passengers could reach out through the window, swing the door open and hop off without waiting the extra few seconds for the train to come to a full stop. During long delays, they could lean out, have a cigarette and shut it again when the train started moving. The downside of the slam doors was the accidents. Every year, a few people fell off the back, pulled under the wheels. Passengers waiting at train platforms got bashed in the face by the doors as they swung open. The trains put up signs, of course, don’t open this, watch your step, but every year, the doors caused between 5 and 10 deaths, and dozens of injuries. The need for replacing the doors seems obvious, but for decades, the UK stubbornly refused. Updating the doors would have required designing an automatic opening mechanism, then paying workers to replace each swinging door with a sliding one. With hundreds of trains, thousands of doors, the cost was in the billions. So Britain did nothing. It left the doors as they were, cleaned up the mess from the fatalities but did nothing to prevent them. And again, it seems obvious what the city should do. Close the viaduct, tear it down, build a safer one. But they haven’t. Fourteen years now, it simply remains, carrying just as many passengers as before. When the next earthquake happens—and in Seattle, it is indeed a when, not an if—a not-insignificant number of people will die in their cars, crushed by concrete and steel. 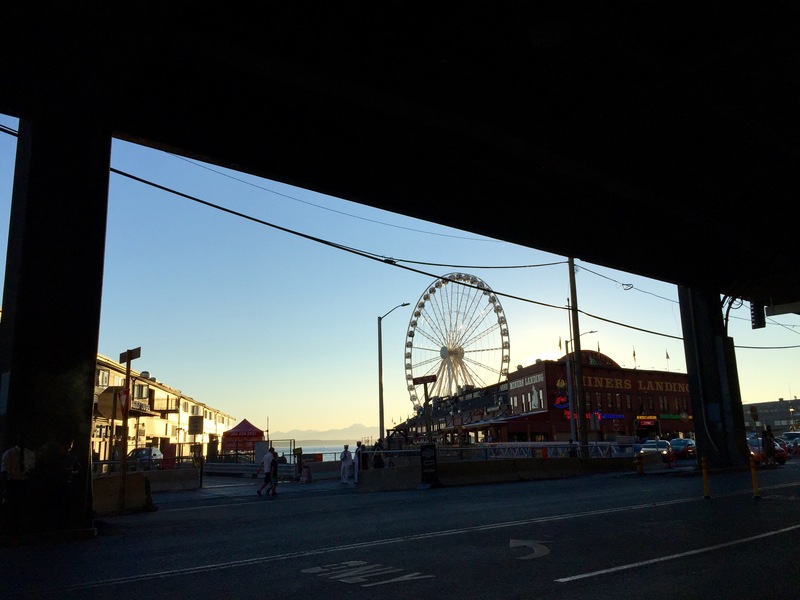 There’s even a road underneath the viaduct, a popular tourist area, bike lanes, hot dog stands. Those people, if the earthquake is during the day, will probably die too. Countries have a formula they apply to these sorts of problems, it’s called the value of preventing a fatality, of VPF. In Jonathan Wolff’s Ethics and Public Policy, where I read about the train doors, he notes that in the UK, the value of a human life is £1.4 million. In the United States, it’s apparently $6 million. What that means is, since the train doors killed up to 10 people a year, Britain was willing to invest up to £14 million in retrofitting them. If the cost went over the VPF, it would leave them. It did, so it did. In Seattle, tearing down the viaduct, spending years rebuilding it, would interrupt the commute of millions of people, would cost billions in lost productivity. Whatever mayor or governor decided to do it would be voted out of office. I’m not even sure I disagree with leaving the viaduct up. I biked beneath it almost every day in Seattle, I took that photo standing right under it. A small chance of, say, 60 people dying in exchange for keeping a major urban arterial might actually be a worthwhile trade-off. What’s interesting to me isn’t that we make these choices, but that we are only allowed to make them invisibly. A politician who stood at a podium and said ‘saving 10 lives isn’t worth more than £14 million’ would be seen as a monster. Yet that is indeed the decision Britain’s politicians reached, and the one we live with intrinsically in things like our drinking age, our speed limits, our pharmaceutical regulations, our sentencing laws. At the population level, almost every decision means lives lost. Since 1979, 10 people have apparently been killed by Bic cigarette lighters. Is banning them worth the inconvenience of millions of people taking slightly longer to light their cigarettes? Meh, probably not. One of the reasons it’s so bad, I’m convinced, is that in development, we aren’t allowed to talk about these trade-offs, the kinds governments and citizens make every day. With the viaduct, with cigarette lighters, we traded a small risk of fatalities for the inconvenience of preventing them. With train doors, Britain decided there were more pressing risks to spend its resources on, more passengers it could save for its pounds elsewhere. After a few minutes of scribbling, one of my colleagues reported that she had marked every issue as ‘high priority.’ The consultant looked confused. ‘Those are all really critical issues,’ she said, ‘with profound impacts on peoples’ lives. We should be working on all of them.’ I looked around, everyone else in the department was nodding. It’s understandable, this. No one wants to argue that one development issue is more pressing than another, to stand up and declare ‘state surveillance of political dissidents affects fewer people, and less severely, than human trafficking. Lets prioritize the latter.’ No one wants to admit that working on one problem leaves all the other ones in place. When you work at Nike, when you have to decide on launching an ad campaign for sandals instead of sneakers, you’re allowed to make arguments why one should take precedence over the other. But in development, lives on the line, you can’t. So we say yes to everything, we plan our years without differentiating between priorities, we stretch ourselves thin. And we fail, again and again.